The flexible design of this pattern means that it will fit a large variety of dolls without altering the pattern or resizing it. 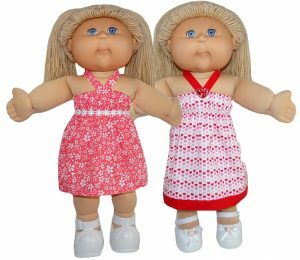 As you can see from the image on the left, the top version of this pattern works perfectly as a dress on my 16 inch (35cm) Cabbage Patch doll. So which will you make first, the Strappy Dress or the Strappy Top? They are so quick to make, I’m sure you’ll have both made in no time at all. 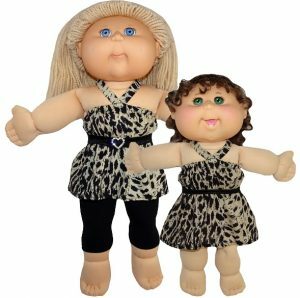 Add the Strappy Dress with Bonus Top pattern for 18 ½ inch Cabbage Patch dolls to your shopping cart now.